On 1 January, Paul Krugman, the Nobel prize-winning economist, wrote in his New York Times column that “We’re living in an era of political turmoil and economic calm. Can it last?” He went on to say that “sooner or later something will go wrong” and this seems to have unfolded as we presently stand. Both global and local markets started the year well, basking in optimism around the impact of Trump’s tax cuts and ‘Ramaphoria’ post the ANC conference. However, volatility returned in February when higher-than-expected wage inflation in the US, saw a spike in US bond yields and a sell-off in risk assets as the markets digested the prospect of tighter US monetary policy. Trump’s withdrawal from the Iran nuclear deal and trade war with China also weighed on global equity markets, as did political instability in Italy and the Argentinian currency crisis. As they say in Venda, ‘ri fhululedza’* to Cyril Ramaphosa on his first 100 days. We have seen significant achievements: a major cabinet reshuffle, board changes at underperforming state-owned-enterprises and leadership changes at the South African Revenue Service and in the North West. However, challenges remain and it will take years to unwind the impact of state capture and restore foreign investor, local business and consumer confidence. 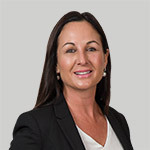 In the first article of our newsletter, Nazmeera Moola, Co-Head of SA & Africa Fixed Income, shares her views on what the government needs to do to improve South Africa’s growth and job-creating potential. Locally, we have seen regulatory and political changes, with Regulation 28 of the Pension Funds Act amended to increase the maximum offshore exposure to 30% and exposure to Africa to 10%. 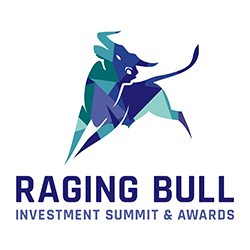 Given the increasing importance of the offshore component of client portfolios and influence of global developments on local assets, we were delighted to win the Raging Bull award for best offshore manager of the year, which is a testament to the strength of our globally integrated investment team. Portfolio managers, Chris Freund and Rüdiger Naumann from our Balanced strategy, provide their insights on the opportunities and risks of the increased flexibility and how our holistic approach improves risk-adjusted returns utilising our globally integrated skills. Palesa Lekganyane, CA Trainee in our Alternatives capability, and Peter Baird, Managing Principal of our Africa Private Equity strategy, write about exciting private equity opportunities on the continent. Investors are increasingly focusing on environmental social and governance (ESG) issues. Clyde Rossouw, Co-Head of Quality, and Danielle Lavan, Product Specialist, explain how investing in tobacco stocks fits our Quality team’s approach to long-term sustainable investing and how we incorporate ESG factors into our philosophy and process. I have also interviewed Hannes van den Berg, Portfolio Manager from our General Equity and Balanced team, on responsible investing. The secret to managing the challenges and opportunities from changing markets and regulations is to have great people and a strong, disciplined and repeatable process. One of the keys to our success has been the stability of our leadership, even though roles and responsibilities have evolved over time. We are pleased to see Hendrik’s skills rewarded with the group Co-CEO role with effect from October and John Green and Mimi Ferrini’s promotion to Investec Asset Management’s Co-CEOs. One of Hendrik’s passions has been ensuring diversity and inclusiveness in our firm. In July, we became signatories of the Women in Finance Charter – a pledge towards achieving gender balance across the financial services industry, backed by the UK Treasury. The Charter reflects an aspiration to see gender balance at all levels across financial services firms. The firms that sign up to this Charter are pledging to be the best businesses in the sector – a goal that fits with our purpose: better firm, better investing and better world. We recognise the importance of creating a work culture that supports gender diversity. Investec Inspire is a network created by women for women at Investec Asset Management. It enables the exchange of knowledge and experiences in order to improve the opportunities for career success. We have committed to support the progression of women into senior roles, driving transparency and accountability for gender diversity and inclusion. Our global target is to have 30% women in senior leadership positions by 2023. All of us should contribute to a culture supportive of diversity and inclusion in its broadest sense and this includes transformation in South Africa. We have made good progress to achieve greater diversity. To date, 75% of our SA board of directors are black; 56% of the SA leadership forum are black; 51% of all black employees are female; and 63% of all new hires over the last three years were black (as at 30 June 2018). We have also committed to a target of having 58% black investment professionals over the next five years. Part of that progress has been in developing talent, and one of our rising stars, Portfolio Manager Unathi Loos, answers questions on her journey, motivation and challenges. We appreciate your continued support. It is thanks to your loyalty, that we have grown from humble African roots in 1991 to become a leading global asset manager with responsibility for assets of approximately R1.7trn (as at 31 March 2018). We look forward to remaining responsible custodians of your savings for many years to come. All information and opinions provided are of a general nature and are not intended to address the circumstances of any particular individual or entity. We are not acting and do not purport to act in any way as an adviser or in a fiduciary capacity. No one should act upon such information or opinion without appropriate professional advice after a thorough examination of a particular situation. We endeavour to provide accurate and timely information but we make no representation or warranty, express or implied, with respect to the correctness, accuracy or completeness of the information and opinions. We do not undertake to update, modify or amend the information on a frequent basis or to advise any person if such information subsequently becomes inaccurate. Any representation or opinion is provided for information purposes only. Fluctuations or movements in exchange rates may cause the value of underlying international investments to go up or down. The full details and basis of the award, affirmed on 01.02.18, are available on request. Investec Asset Management (Pty) Limited is an authorised financial services provider. Issued by Investec Asset Management, August 2018.